Home / MOVIE REVIEWS / "Fist Fight" Movie Review: American Humor and Hysterical Dilemma Comedy Simply Work! "Fist Fight" Movie Review: American Humor and Hysterical Dilemma Comedy Simply Work! For those who may have watched the movie's trailer, you might just ever wonder, why the hell the movie "Fist Fight" was made in the first place, right? Well, I guess, "Fist Fight" is one of those comedy movies with balls, which every teacher with something to fight for should ever watch this season. The movie actually captured my attention not just because of its well-known American humor, but perhaps also because of its theme and significant topic that is so close to us. "Fist Fight" is a violent comedy, but a very funny one. The humor might have been very straightforward and extremely unnecessary, but yeah, its topic hits right on the target, indeed, as if the word "satire" is being flashed every ten minutes of the film or so. The movie is all ludicrous, riotous, and uproarcious at the same time. 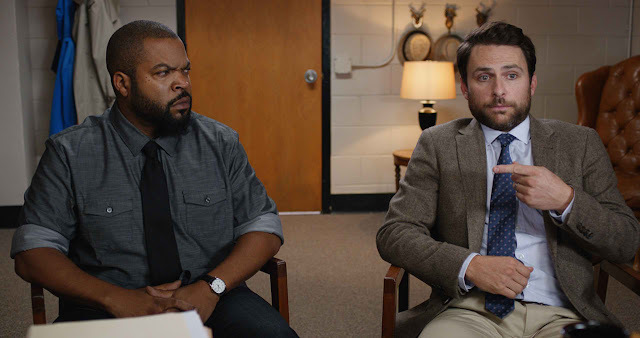 The inverted chemistry of Ice Cube and Charlie Day simply works and might be worth the watch as well. This is definitely one of the funniest movies this season. The characters are all spontaneous. The crazy responses are funny and I think, this movie shows an intelligent comedy as well. We love Charlie Day's hysterical dilemma, defensive offenses, and the hey, I am an underdog looking for sympathy character. We laughed, we laughed hard, and we partied harder, okay maybe not party, but I think, the moviegoers' laughs are sure enough that we partied with laughter as we watched the "Fist Fight" movie. Overall, we give "Fist Fight" an 8 out of 10 movie experience for the laughs, crazy antics and reactions, and of course Jillian Bell's great comedic timing as well! See "Fist Fight" in Philippine cinemas when it opens this week! We do not ask for a "Fist Fight" sequel, but it will be great to have one! Enjoy!